First a little confession time. I bought these little pinecones right away cause I thought they were super cute! But I have such a hard time putting them on cards. I worry that they will get thrown away (gasp!!) and it makes it harder to mail them. So they sat untouched in my drawer, waiting for some love. So my mom and I decided to split some supplies to make a necklace to match. 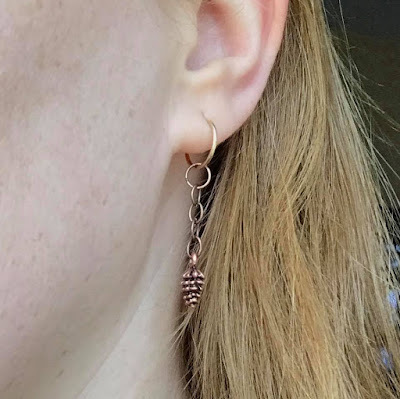 I've never made jewelry before this, so if I can do it so can you! You will need a chain (we chose a bronze to match the pinecones), some jump rings, and a clasp for the back. Then a needlenose pliers (or even better some jewelry pliers) and you are set. Didn't it turn out cute! One hint (I got this from a friend on our team that has made jewelry)- when you open the rings you bend them each sideways away from one another. Do Not make the link bigger- that kind of bending stresses the metal and fatigues it. If that didn't make sense... I would check out YouTube videos that explain how to do it. Like I said, super simple. After finishing the necklace I had just enough chain left to make a bracelet too. Isn't it just a cute set! So now I have some wintery SU! 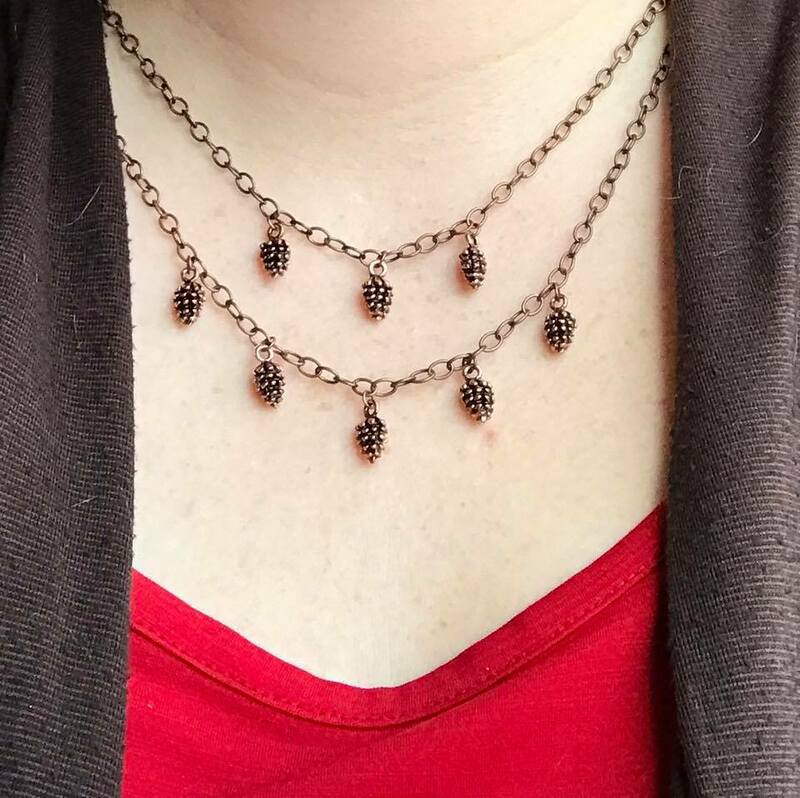 jewelry I can wear for the next few months when I want to feel festive :) And I don't have to worry that they will get thrown away ;) Bonus! I hope you enjoyed this idea! 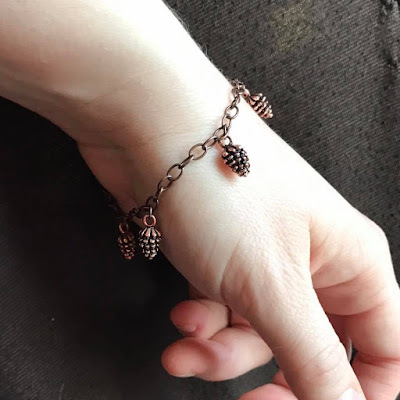 The pinecones are being discontinued at the end of the month, and are only available while supplies last until then- so make sure to pick some up now if you want to make your own set. 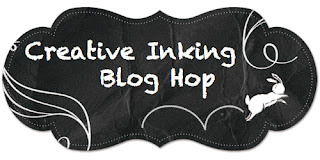 Now, hop along and see what my fellow stampers have created for you this cold wintery day. Love it. Especially the necklace. OMGosh!!! I have the same problem putting them on cards. LOVE the jewelry idea. Wow Amber these are super cute! I have some extras I'm going to try this for a Christmas present for somebody special.